Vicki’s passion is building capacity in people, institutions and society. She is a skilled educator, with over 20 years teaching experience in two Top 100 universities. She has worked with executives, undergraduates and postgraduates in the marketing and entrepreneurship disciplines, and across multi-disciplinary programmes, drawing on varied industry and life experience. She is a New Zealander. Her first career was in advertising, leading Leo Burnett New Zealand’s media department. She left advertising to pursue higher education, then switched to the client side with Philips (NZ) and Sky Network Television. However, corporate life did not provide opportunities to make a social contribution. 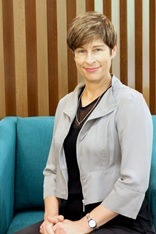 Consequently, she joined the University of Auckland, completing a PhD (2005), and building a diverse teaching, service and research portfolio. Her business experience supported wide-ranging service contributions, including extensive involvement with executive programmes (MBA, PGDipBus), and the well regarded Master of Bioscience Enterprise (MBE) programme. In 2011 she felt it was time for new challenges, and left New Zealand for Monash University Malaysia. She took on Departmental and School leadership roles, and led major campus projects directed at innovating learning. In 2015 she returned to NZ to support family, contracting to the University of Auckland as a Professional Teaching Fellow. She has now returned to Malaysia, and to Monash. She is currently working on two campus level capacity building projects spearheaded by the PVC (Active Learning and Sustainability) in addition to her on-going teaching and research projects. 2013. BROOKES, R. AND LITTLE V. J. What – really – is marketing? In R. Brodie (Ed.) Legends in Marketing: Christian Gronroos Thousand Oaks: Sage. 2009. BRODIE, R., LITTLE, V. J., AND BROOKES, R. W. A Practice Perspective of the Marketing Organisation. In M. Saren (Ed. ), Sage Handbook of Marketing Theory (pp. 820-850). Thousand Oaks: Sage. 2016. WU, A., LITTLE, V. J. & LOW, B. Inbound open innovation in pharmaceutical markets: A case study of an anti-diabetic drug in-licensing decision. Journal of Business & Industrial Marketing, 31(3) 205-218. 2016. NAIR, S., & LITTLE, V. J. Context, culture and green consumption. Journal of International Consumer Marketing, Online, (http://www.tandfonline.com/doi/full/10.1080/08961530.2016.1165025), 1-16. 2011. MILES, M.P., MORRISH, S. C., LITTLE, V. J., AND BROOKES R. W. A short note on corporate venturing for technology acquisition Innovation: Management, Policy and Practice, 13(1) pp.126-133. 2010. BENSON-REA, M., LITTLE, V. J. & DUFOUR, Y. 2010. Enterprise Diversity in the Business of Wine: What is a Business Case Study? International Journal of Wine Business Research, 22(2), 90-101. 2008. LITTLE, V. J., BROOKES, R. W., & PALMER, R. Research informed teaching and teaching informed research: The CMP 'living case study' approach to understanding contemporary marketing practice. Journal of Business and Industrial Marketing,23(2), 124-134. 2006. BRODIE, R. J., GLYNN, M. S., & LITTLE, V. J. The service brand and the service dominant logic: Missing fundamental premise or the need for stronger theory? Marketing Theory, 6(3), 363-379. 2006. LITTLE, V., MOTION, J., BRODIE, R. J., & BROOKES, R. Turning marketing promises into business value: The experience of an industrial SME. University of Auckland Business Review, 8(1), 25-36. 2006. LITTLE, V. J., MOTION, J., & BRODIE, R. Advancing understanding: The contribution of multi-method action research-based approaches to knowledge creation. International Journal of Learning and Change, 1(2), 217-228. 2017. NAIR, S., JEBARAJAKIRTHY, C., & LITTLE, V.J. An investigation into Malaysian consumers’ behavioural responses towards complying with “no free plastic bag campaign day” (NFPBCD) on Saturdays. Paper presented at the 2017 ANZMAC Conference, Melbourne, Australia. 2016. HOH , M. Z., LITTLE, V. J., & LEE, C. K. C. Evasive masculinity: Constructing brand narratives in fragrance advertising. Paper presented at the 2016 ANZMAC Conference, University of Canterbury, Christchurch, NZ. 2016. LITTLE, V. J., SMITH, S. D., & BROOKES, R. W. New Realities in the Tertiary Sector: What are they, and how should we respond? Paper presented at the Voices in Tertiary Education Symposium, Victoria University of Wellington, New Zealand, July 22-23. 2014. BROOKES, R.W., & LITTLE, V.J. Understanding design-driven innovation:An exemplary ‘radical design’ case. European Institute for Advanced Studies in Management: 21st International Product Development & Management Conference, Limerick, Ireland. 15 June - 17 June. (1-17). 2012. LITTLE, V. J., MILES, M. P., CONROY, D. “Co-Creating Value In Renewable Energy Markets: Issues And Challenges For Marketers Working In Trans-Disciplinary Teams” 2012 Global Marketing Conference at Seoul, 18-21 July, Seoul, Korea. 2012. NAIR, S., LITTLE, V. J., LOW, Y-K. “Towards an Integrated Theory of Environmentally Significant Behaviours in Collectivist cultures: Antecedents, Propositions and a New Model”. 4th Global Conference on SME, Entrepreneurship & Service Innovation (GCSMES), Gold Coast, Australia. 12-13 July, 2012. 1-26. 2011. NAIR, S., LITTLE, V. J., ONG, K. S., YULE, C., & CONROY, D. Environmentally Significant Behaviours: Plastic Bag Usage in the Retail Value Network. 1st Emerging Research Paradigms in Business and Social Sciences Conference, 22-24 November University of Middlesex, Dubai, UAE, 1-18. 2010. BROOKES, R. W., LITTLE, V. J. & CASSAB, H. When the Service-Dominant Logic, Innovation, Relationship Marketing and Design Thinking Converge: The Example of a School Chair. 18th International Colloquium on Relationship Marketing. Henley Business School, University of Reading, UK. 1-7. 2010. CASSAB, H., LITTLE, V. & BROOKES, R. Strategic Design Choices For Service Innovations. 2nd Global Conference on Service Excellence 2010. Singapore Management University, Singapore. 1-7. 2010. FROW, P., BRODIE, R. J., LITTLE, V. J., & PAYNE, A. Collaboration, Resource Integration and Value Co-creation within the S-D logic. FMM2010: The Forum on Markets and Marketing: Extending Service-Dominant Logic, University of Cambridge, England, September 23-26 p. 1-20. Sophia Ha. Sustainability-oriented innovation in agrifood production systems: A case study of the New Zealand aquaculture industry" same as the others (Master of Bioscience Enterprise etc). Madeliene Trusewich "Is the New Zealand kiwifruit industry ready for the biopesticide revolution? A case study of actor engagement within an agricultural innovation system." Zoe Chen "Principle-agent relationships in the entrepreneurial university: A case study of Australian and New Zealand university technology transfer offices in life science innovation." Ileshaa Makan "Addressing geographic isolation: A case study of temporary cluster effectiveness for NZ biotech companies."